MEDIA is Emtek’s primary business portfolio. As Indonesian most prominent media conglomerate, this business group includes 2 leading nationwide and 1 local Free-to-Air (FTA) televisions, diversified online/digital media properties, and content distribution and production businesses. SCM is the sub-holding of Emtek’s media division. SCM owns several subsidiaries engaged in broadcasting and content businesses. SCM was established in 1999 under the name PT Citra Aneka Selaras and later changed its name to PT Surya Citra Media in 2001. In 2002, SCM conducted Initial Public Offering (IPO) and was listed in the Indonesian Stock Exchange with ticker code SCMA. SCM possesses solid in-house production capabilities that have effectively and efficiently led SCTV and Indosiar as the top 3 national FTA channels controlling around 30% of national audience share. Further information about SCM can be found at www.scm.co.id. SCTV is a leading and top-rated national FTA channel in Indonesia which started its operations in 1990. 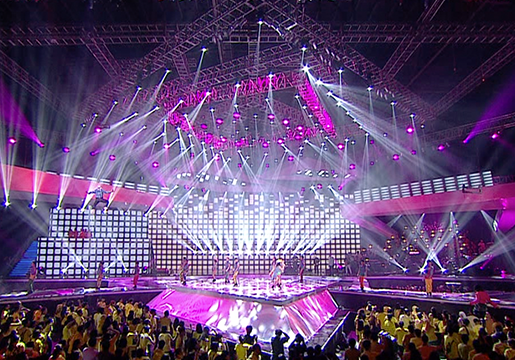 SCTV is broadcasted via 39 transmission stations, covering more than 180 million population. Its comprehensive programs vary from variety show, entertainment, drama, music, news, to sports. Most popular programs include Inbox, Liputan 6, SCTV Music Awards, Infotainment Awards, FTV (TV Movies), and its various drama series. Further information about SCTV can be found at www.sctv.co.id. Started its operations in 1995, Indosiar has been recognized as one of the leading national FTA channels focusing on middle-to-low income group. Further information about Indosiar can be found at www.indosiar.com. O Channel is a popular local FTA channel across greater Jakarta and Bandung which started its operations in 2004. O Channel focuses on female, lifestyle, and entertainment programs targeting housewives and mid-affluent market segment. 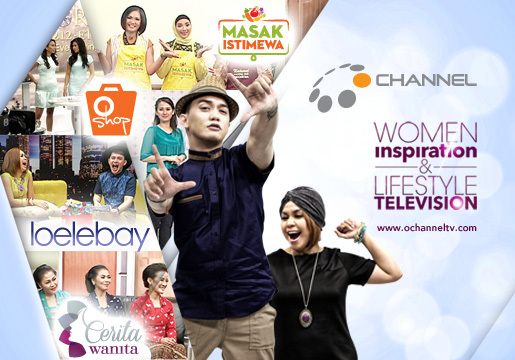 O Channel is well-known for its home shopping programs, O Shop – one of the largest TV home-shopping in Indonesia. Further information about O Channel can be found at www.ochanneltv.com. KMK Online commenced its operations in 2012, primarily to engage in developing digital industries and other related businesses in Indonesia. Starting with a single domain portal, KMK Online has transformed its vision by rapidly growing into a diversified digital media company. 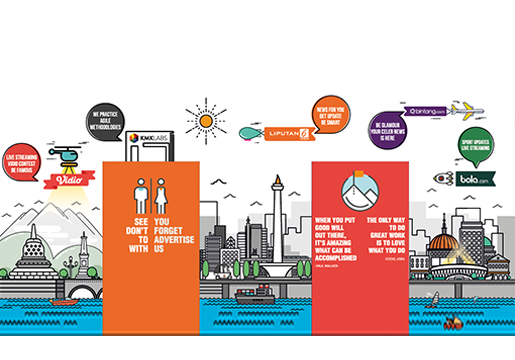 KMK Online founder intends to empower Indonesian people to make the right choices throughout their various life stages by providing them valuable options and useful information that are transparent and accessible anytime, anywhere throughout the internet. One of the strong points of KMK Online is its experienced management team, known for their years of expertise, knowledge and clear vision in developing a digital media company and industry in Indonesia. KMK Online portfolio consists of 4 main elements: online news portal named Liputan6.com, entertainment portal called Bintang.com, leading sports portal of Bola.com, social media based video platform of Vidio.com. Further information about KMK Online can be found at www.kmkonline.co.id. Established in 2015, IEG serves as the sub-holding company of SCM’s content production and distribution businesses. Consolidated, IEG houses at least 600 production personnel, and over 120,000 hours of content. IEG focuses on 4 core business activities: content production, studios & facility management, content library monetization, and content distribution. IEP was also established in 2015 as one of IEG’s subsidiaries. IEP focuses on managing production of in-house content for Emtek’s national FTAs (SCTV and Indosiar) flagship programs. 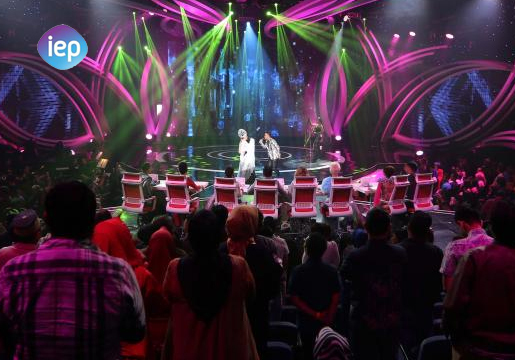 Some of IEP’s high-rated programs are D’ Academy, Infotainment Awards, SCTV Music Awards, and Bintang Pantura. IES was established in 2015 as one of IEG’s subsidiaries. IES focuses on leasing and managing broadcast and movie production equipment and facilities. 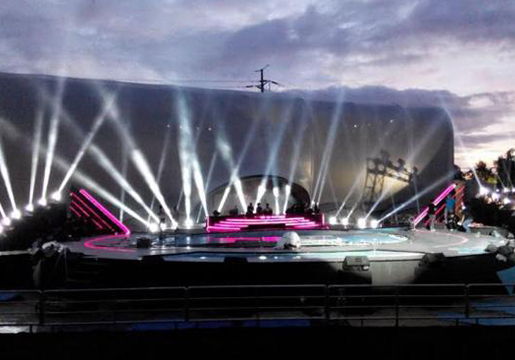 Currently, IES manages more than 6,000 sqm studio facilities supporting Emtek’s content production activities. Established in 2010, Screenplay was Emtek’s first subsidiary dedicated to produce TV content and it has showed positive results. 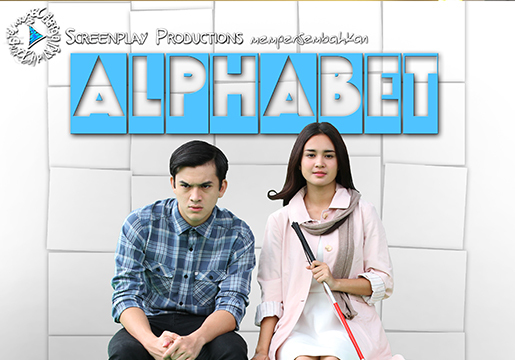 Currently, Screenplay has produced many high-rated and award-winning programs including FTV (TV movies) as well as drama series of various genres, mainly for teens and upper-class segments. Most notable drama series include Putih Abu-Abu, Diam-Diam Suka, and Love in Paris. Established in 2012, ASP is the second TV content production house that is exclusive to Emtek. ASP has different positioning from Screenplay, focusing on middle-to-low income group. ASP has emerged to become a producer of highest-rated and award-winning local stripping program, such as Ganteng-Ganteng Serigala, Emak Ijah Pengen ke Mekah and Pangeran. Established in 2011, AKI is Indonesia’s upcoming animation production house. AKI is equipped with 4 production studios established in Jakarta, Bandung, Yogyakarta, and Semarang. AKI owns the intellectual property rights of its titles and characters of its programs, thus, unlocking future potential in merchandising, licensing, and expansion to international markets. 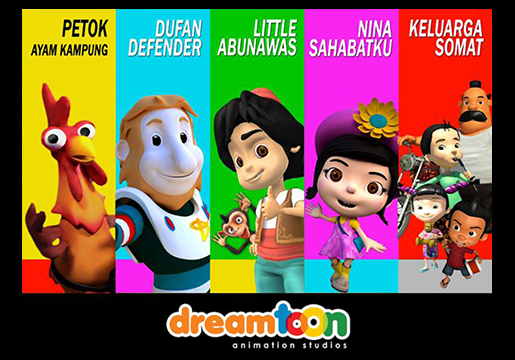 The most popular character is Keluarga Somad who has won KPI award (Indonesia Broadcasting Commission) for Best Animation. To support the development of the movie industry, particularly big screen movie, SSF was established 2015. SSF engages in services for movie production and distribution. SSF has emerged as producer of top-grossing Indonesian local movies (motion pictures). Its early released movie, Magic Hours has successfully become the Top 5 most-watched Indonesian Movie in 2015 with more than 850,000 audiences. London Love Story, SSF’s second movie, has gained more success with above 1.12 million audiences and earned the label of Top 4 most-watched Indonesian movie on 2016.